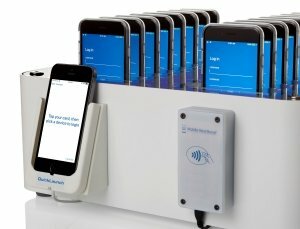 Mobile Heartbeat’s QuickLaunch solution means staff can securely log into a shared device with the swipe of their access card. By using this log-in method, shared devices will automatically load with a user’s preferences and settings, including patients, phone extension, and InterApp launch points, all in a matter of seconds. 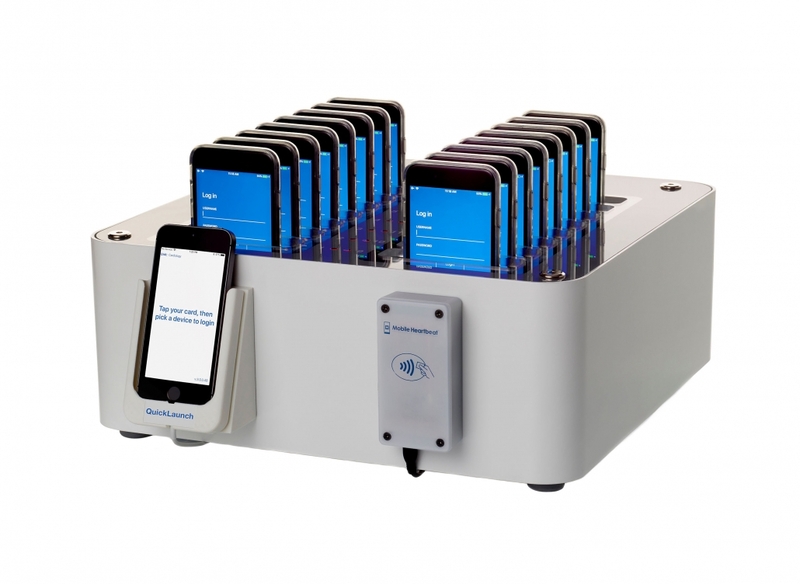 Datamation Systems’ UniDock Smart Docks are innovative, future-proof professional docks for iOS, Android mobile devices configured the way you use them. Durable, professional, upgradable dock for 16 and 24 devices in most protective cases. Versions for 8 devices also available. Pre-installed Serial IO Bluetooth enabled RF reader. Custom powered mounting holster for iPhone™, iPod™ pre-installed: Ready-to-go for QuickLaunch. What Makes the UniDock/Mobile Heartbeat Bundle Unique? 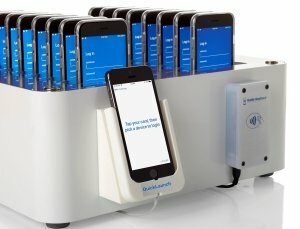 Easily dock iPhones with QuickLaunch. Fully integrated with QuickLaunch on iPhone/iPod and serial i/o Bluetooth badge reader. Adjustable guides can handle a variety of devices with virtually any case and many peripherals. If you require additional information and want to know who Mobile Heartbeat can tailor a solution for all your critical communication needs, click here.